All too often the approach to turnover is to aim your hiring process toward employees with higher retention probability. Hopefully, we can all see the problem with this. Employees will leave an organization for a number of reasons, but at the core of each of these reasons there will be fixable commonalities. Instead of changing your hiring strategy, perhaps you should take a look at what can be changed within the organization. It is always easy to spot that someone who continually has issues with everyone around him/her. These are quite often the people who don’t have the common sense to realize that maybe it’s not them, maybe it’s me. Consider looking at turnover from this perspective. Maybe it’s not them, maybe it’s the organization. Yes, smarter hiring will always help retention rates, but there is more than one avenue to take to improve retention. You can’t change anything before you know what needs to be changed. Exit interviews are a great way to gather information on retention strategies. Finding out why they are leaving is really as simple as asking. According to BuinessBalls.com, “From the employer’s perspective, the primary aim of the exit interview is to learn reasons for the person’s departure, on the basis that criticism is a helpful driver for organizational improvement.” If everyone involved can keep in mind that this isn’t personal, helpful information can be collected and all parties can move forward. There have been quite a few studies done on the real reasons that most valuable employees decide to up and leave. Most of these studies came up with many of the reasons for quitting. Poor Management: They’re everywhere -bad bosses. The common approach here is to match management style with learning style. Or you could concentrate on hiring qualified managers with proper training. Management needs to offer open communication, constant guidance and the ability to work with everyone. The solution here isn’t to match the rude boss with the push-over employee, the solution is to improve management. No Room or Chance for Growth: What do you do with a great, dependable and hard-working employee? You promote the person. While it’s true that stagnant employees are easier to retain, those aren’t the employees that you want. Constantly assess your valuable employee’s worth, and make sure you’re matching it with compensation/advancement opportunities. The employee’s advancement expectations should be clear from the get-go. If you can’t offer a good employee advancement, of course they will leave. Duties are Unchallenging/Boring: Most of the time, these valuable workers who quit do so because they know their value. They won’t put up with an unsatisfying job. Instead of making the boring job crystal clear in a job description, make changes to the position. While realistic job previews are helpful in hiring a good match, it can be more helpful to create a more dynamic work environment. Compensation: You could hire based on an assessment of compensation priorities, or you could try transparency in your compensation practices. A new trend in pay transparency is arising and it has proven beneficial to employees and organizations. Instead of secretive and unfair compensation practices, companies are starting to implement pay ranges for groups of jobs. When an employee is aware of their ceiling for a given position, it gives them something to strive for past where they are now. When they know what the benefit of their hard work will be, they are more likely to engage. 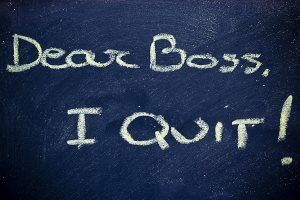 When a good worker quits, it can damage morale, get very costly and even start a trend. The group of talent who know their worth won’t settle for less. When you make a conscious effort toward the improvement of these common areas of concern, you are being proactive about retention. This is so important because it costs more to hire than to retain. It costs a company from 120-150 percent of the person’s salary if he or she leaves within three months. Fighting turnover is about the thoughtful improvement of the organization and less about switching up the hiring process.